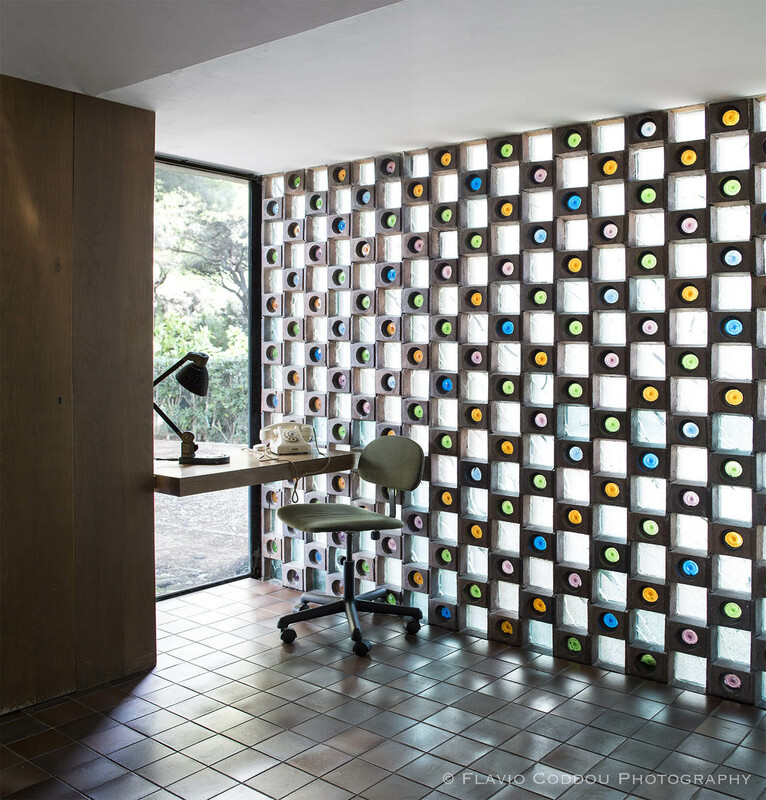 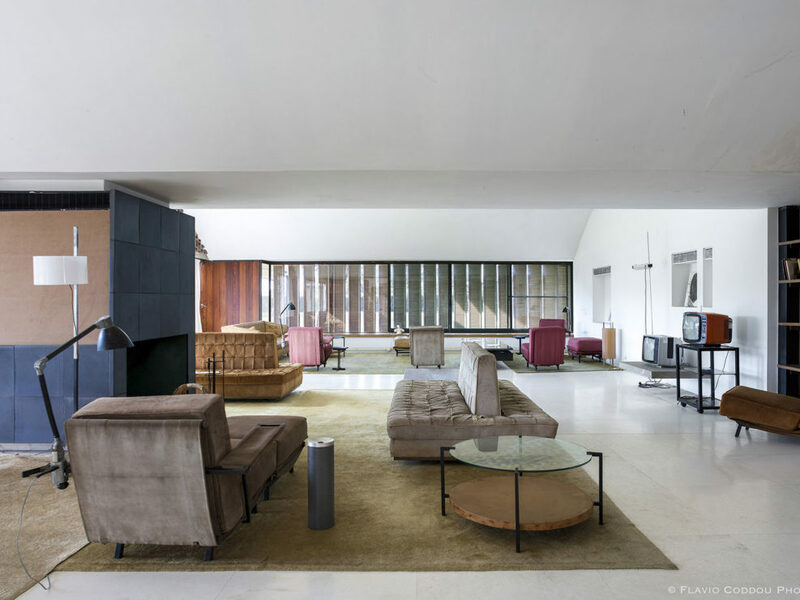 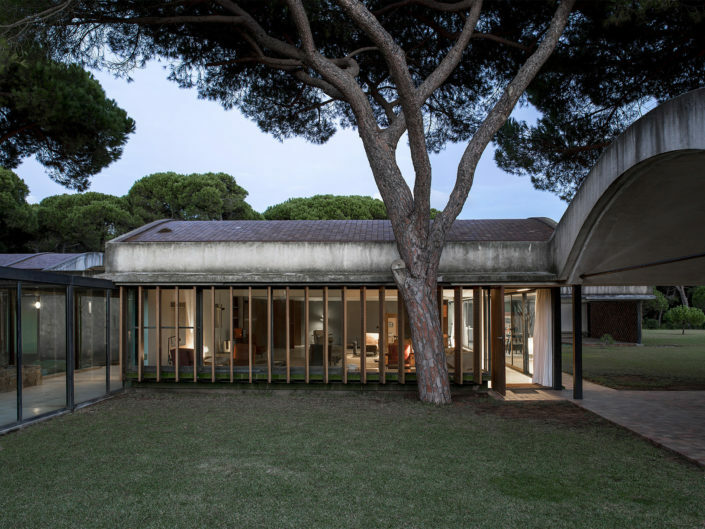 “Casa La Ricarda (1949-1963), designed by Antonio Bonet, former member of GATCPAC and member of the Republican leadeing avantgarde in exile, is considered one of the best examples of modern architectural heritage in Spain. 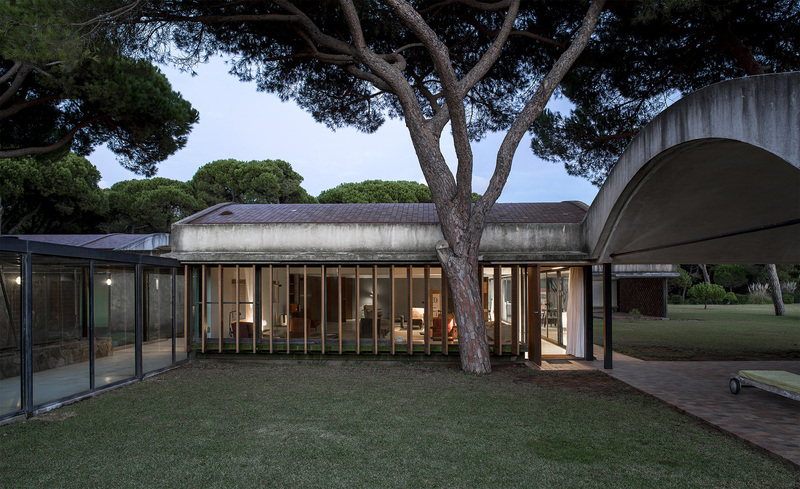 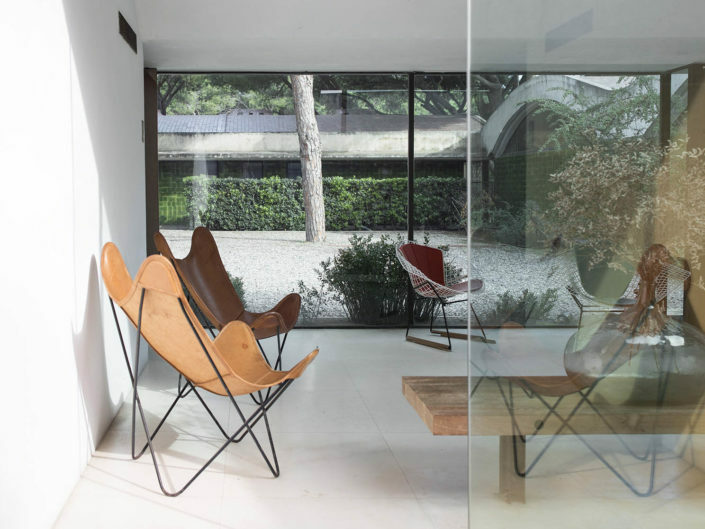 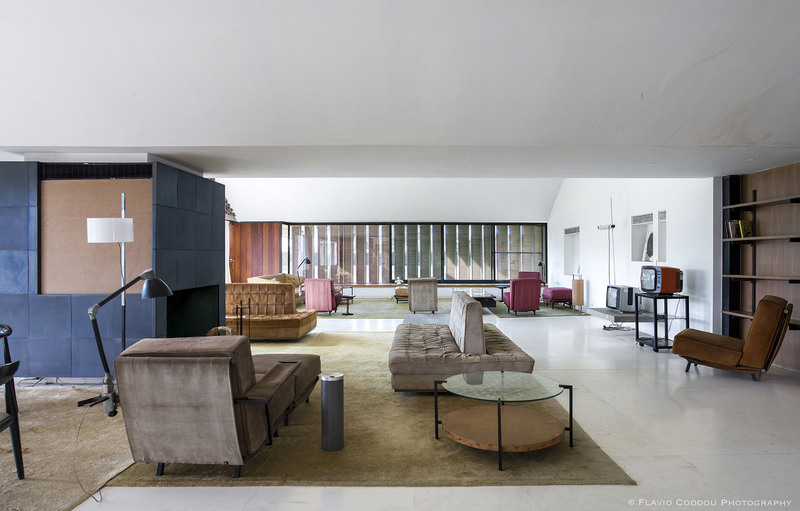 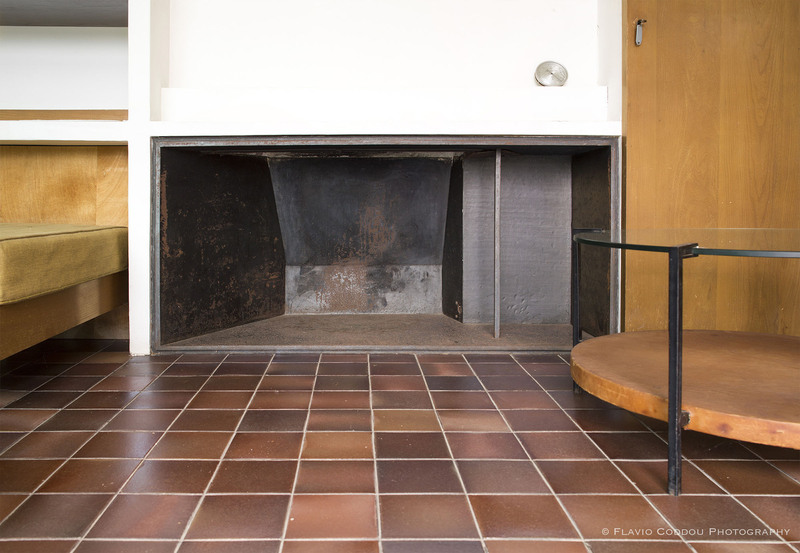 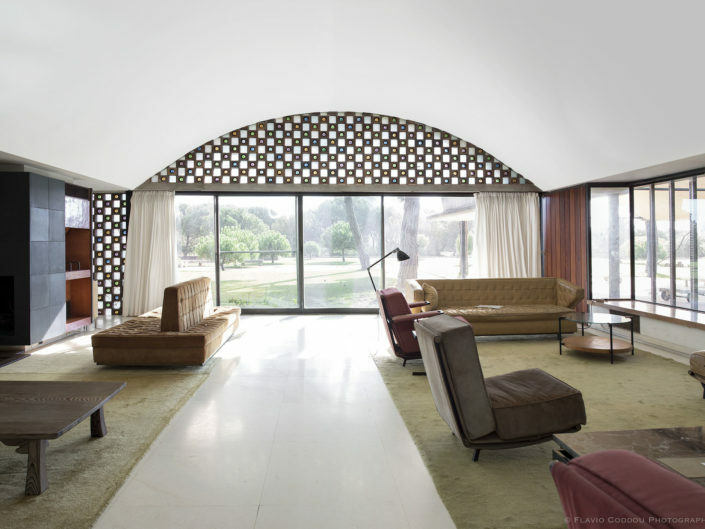 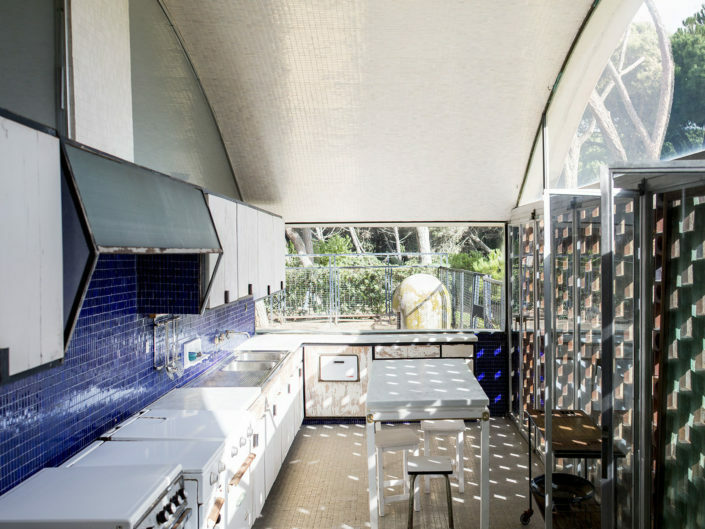 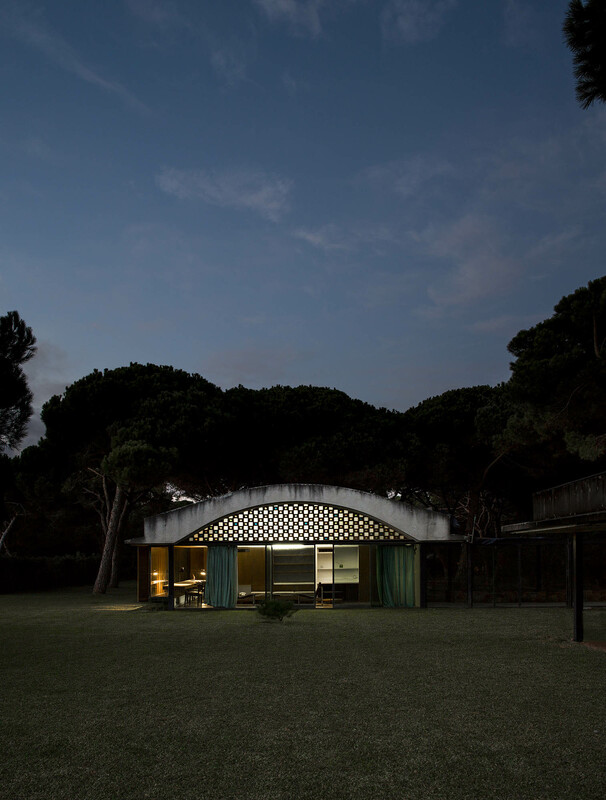 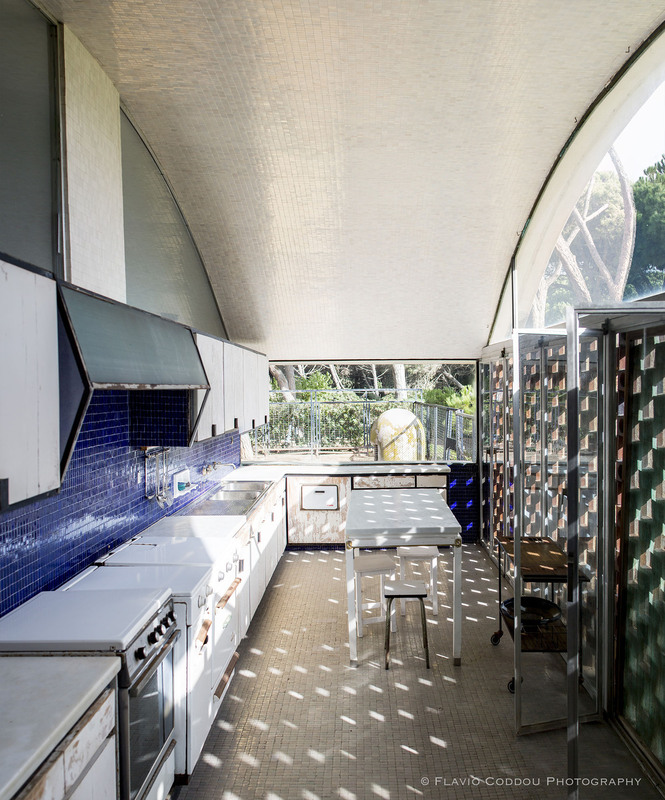 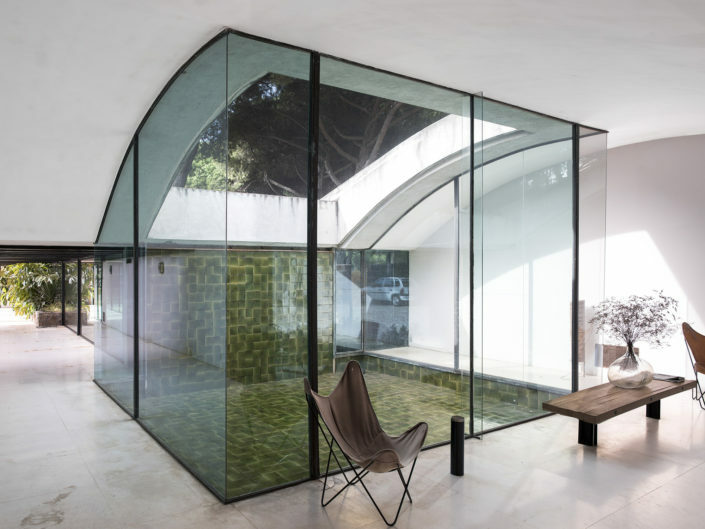 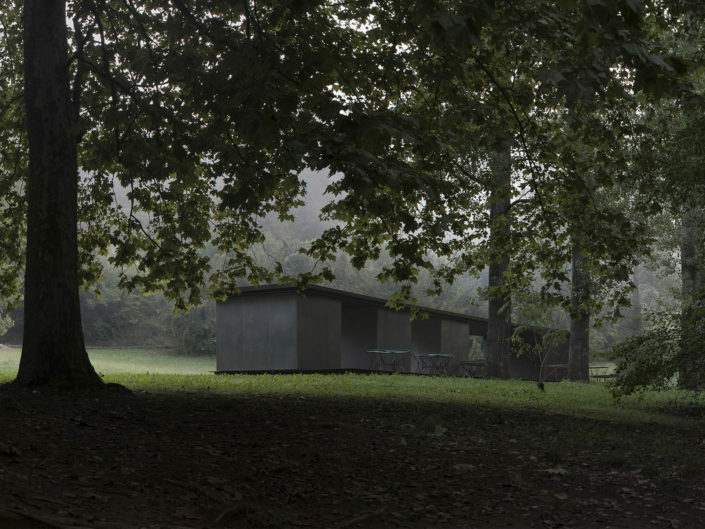 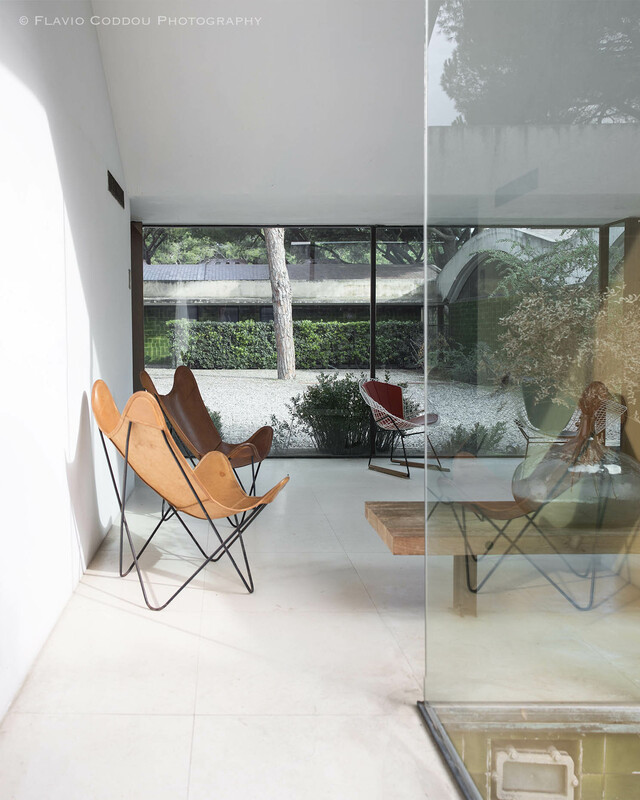 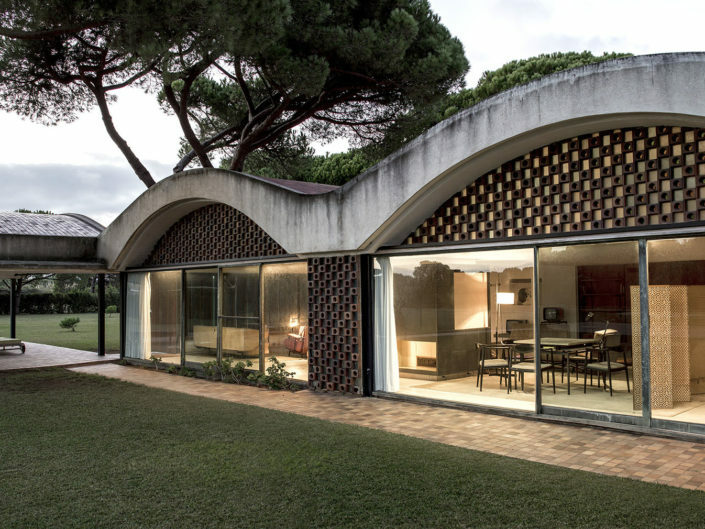 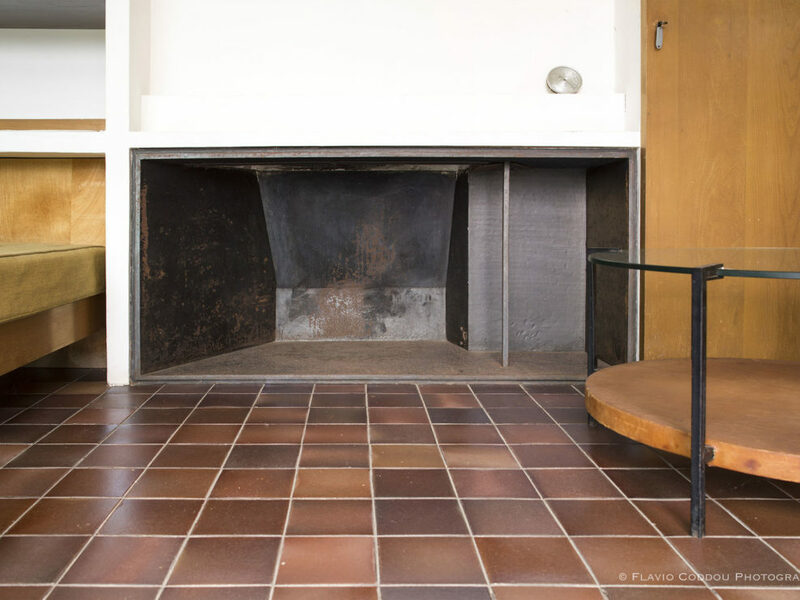 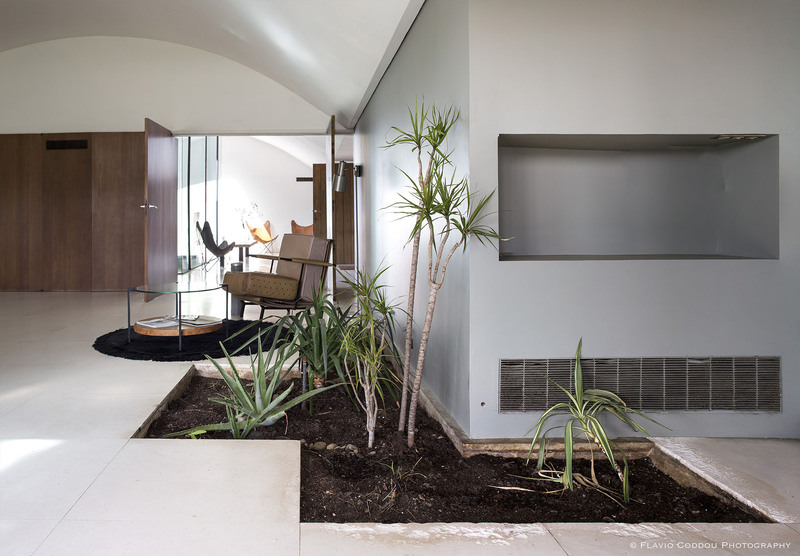 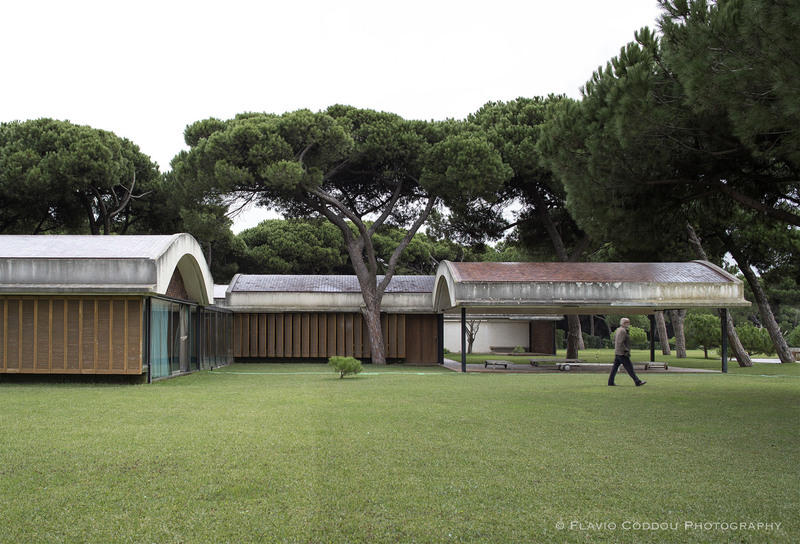 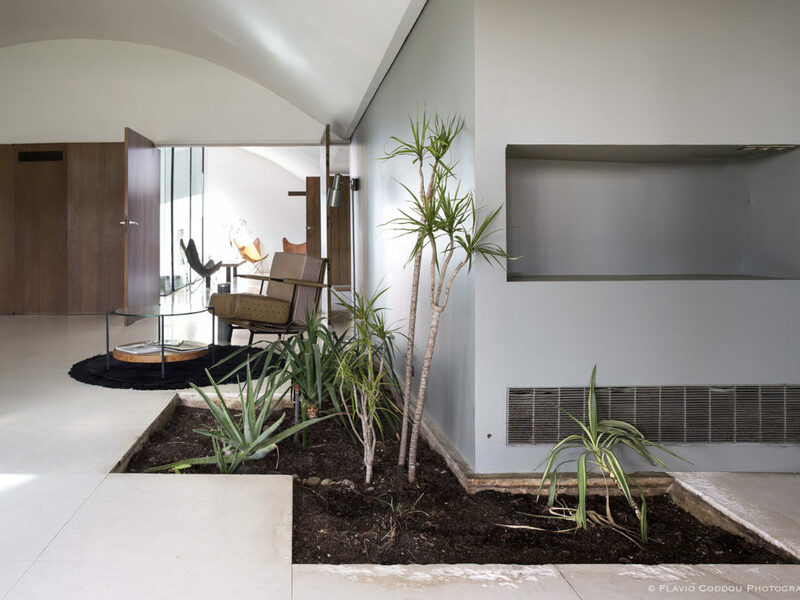 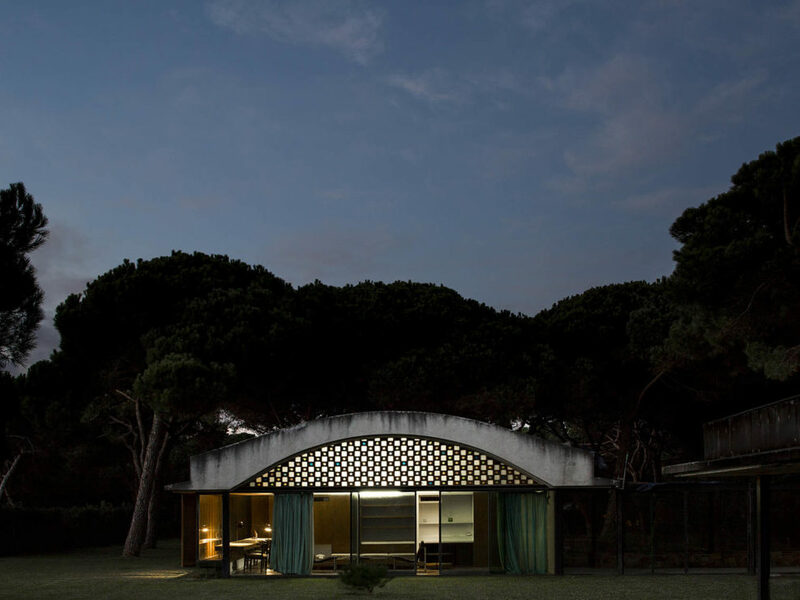 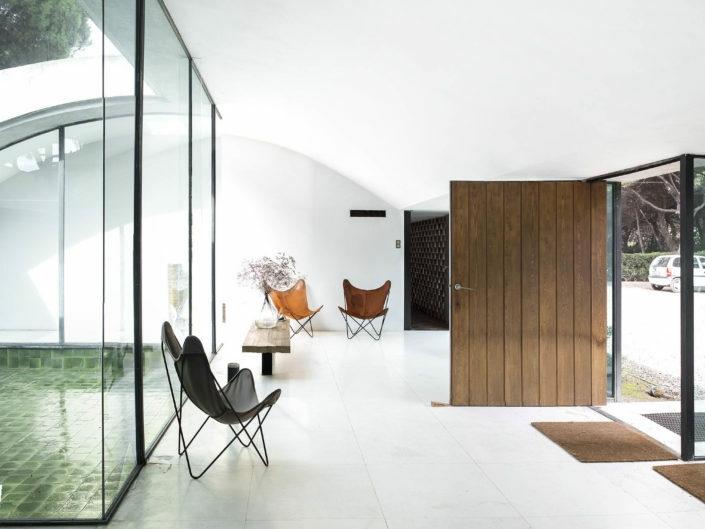 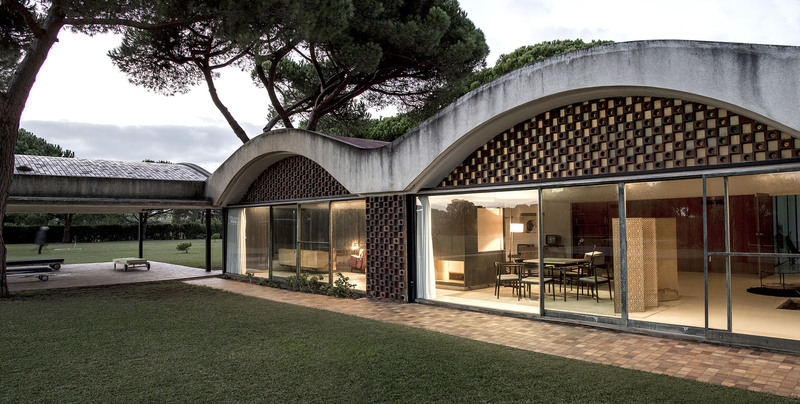 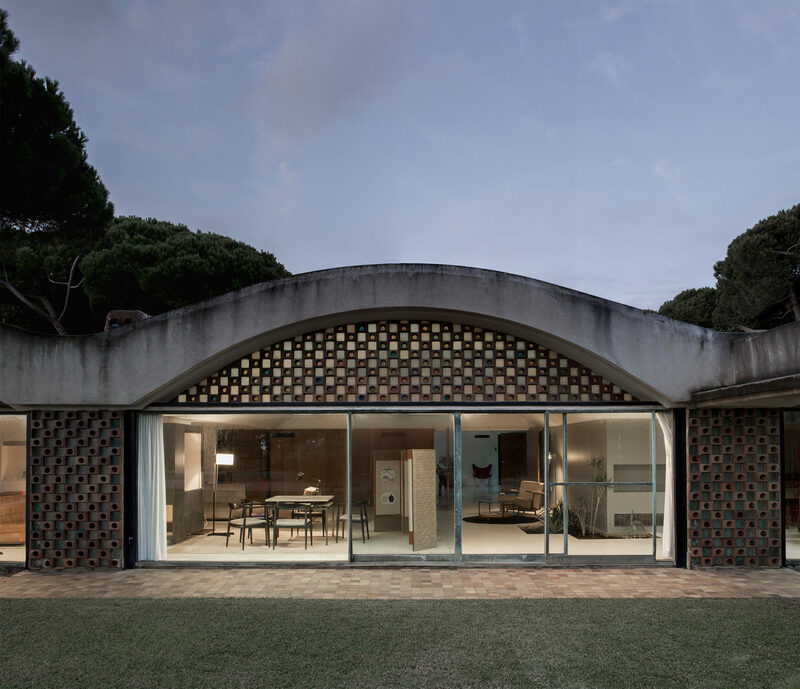 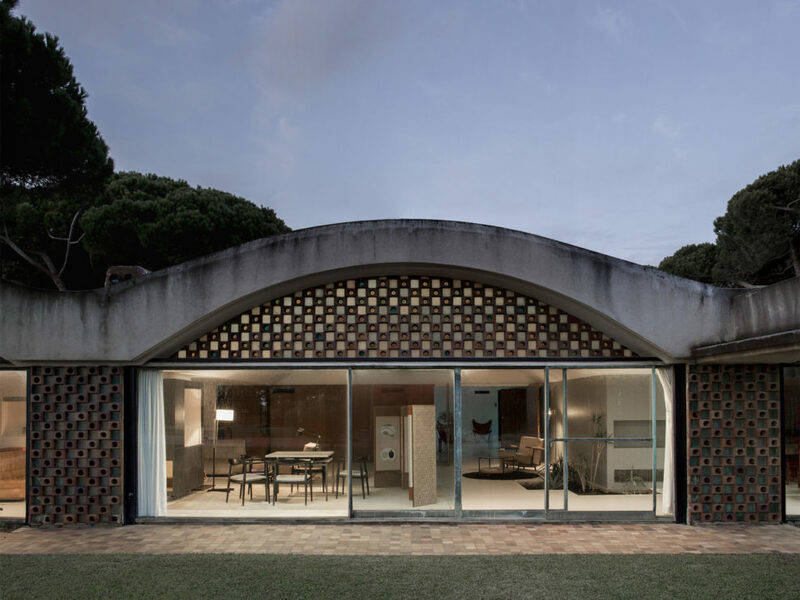 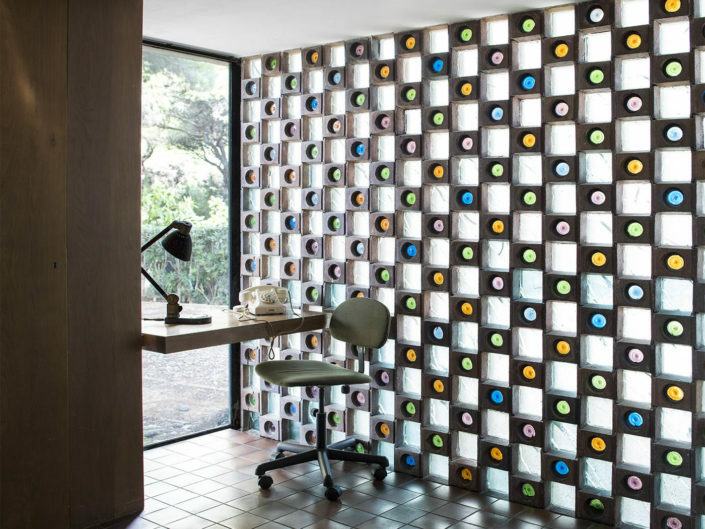 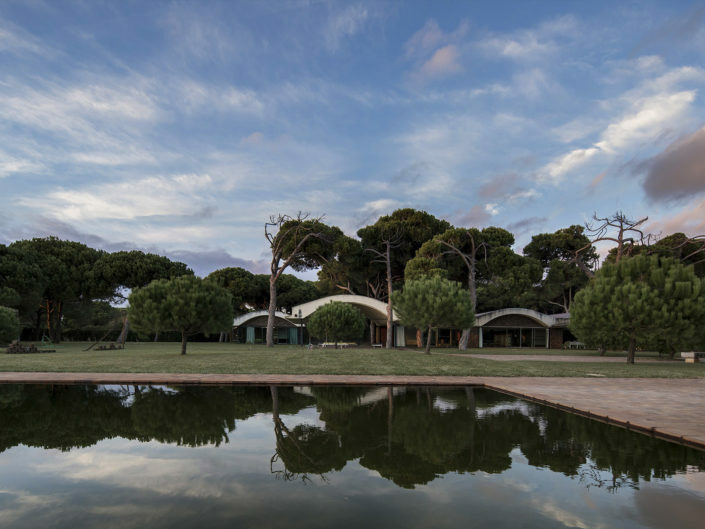 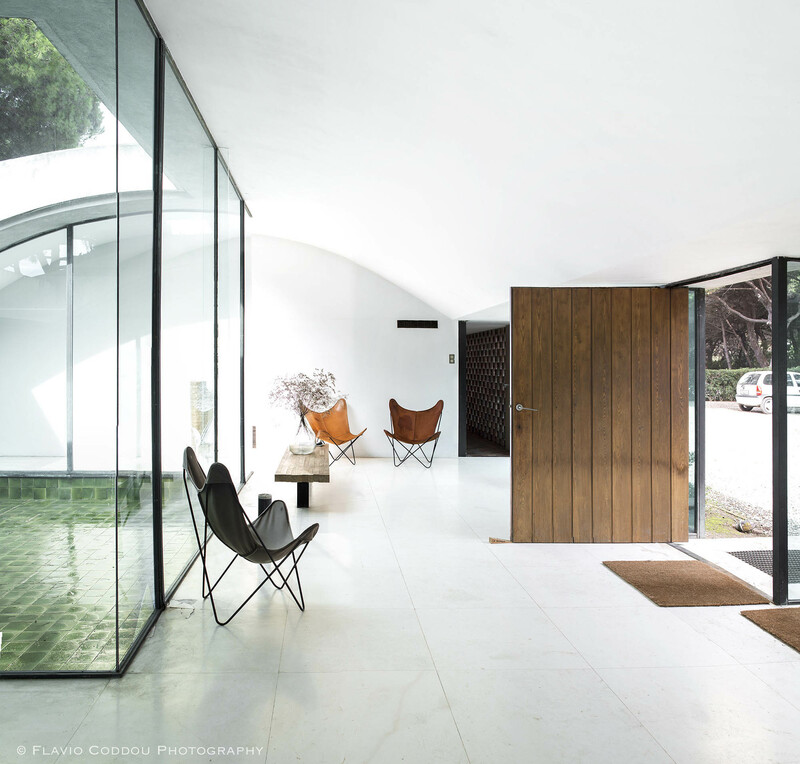 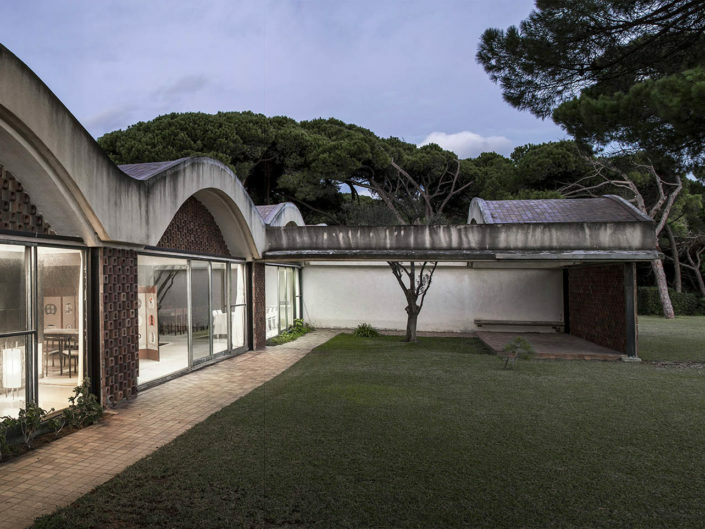 Ricardo Gomis, who commissioned the house, was an active participant in its design and promoter of the Catalan cultural recovery pulse (Club49), whose activities, musical and theatrical found an ideal setting in the house in the late 1960s. 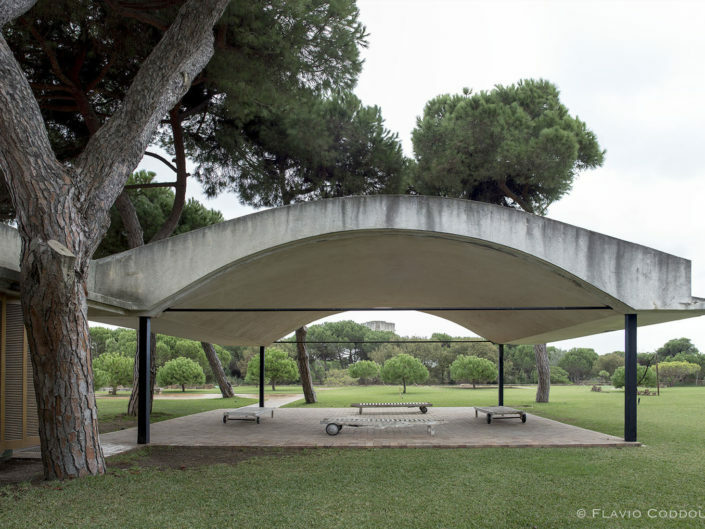 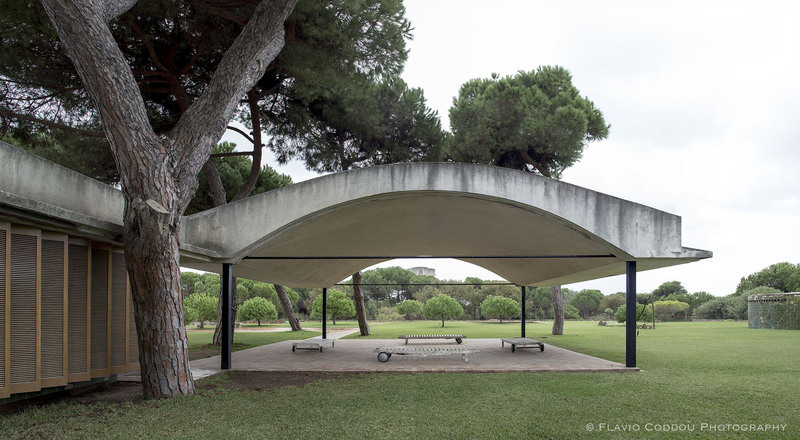 Awarded the FAD (1978) award as an example of synthesis between abstraction of modern art and alignment with the natural and cultural environment, whose values have been maintained thanks to a careful restoration (in 2001). 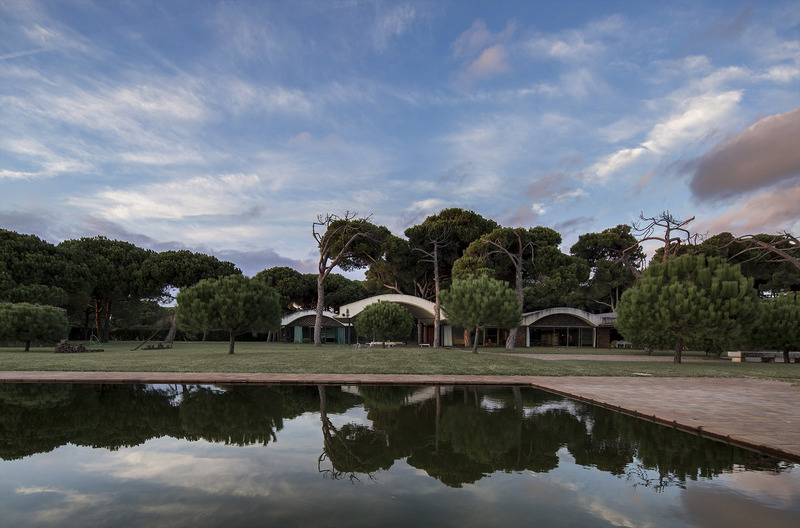 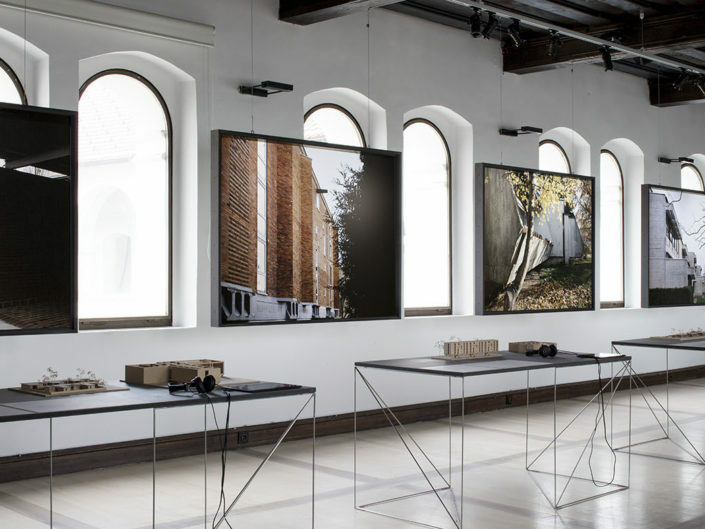 La Ricarda continues to receive interest and frequent visits by visitors and scholars, lovers of good architecture, admired by the almost magical aura surrounding his serene image and generosity of its spaces. 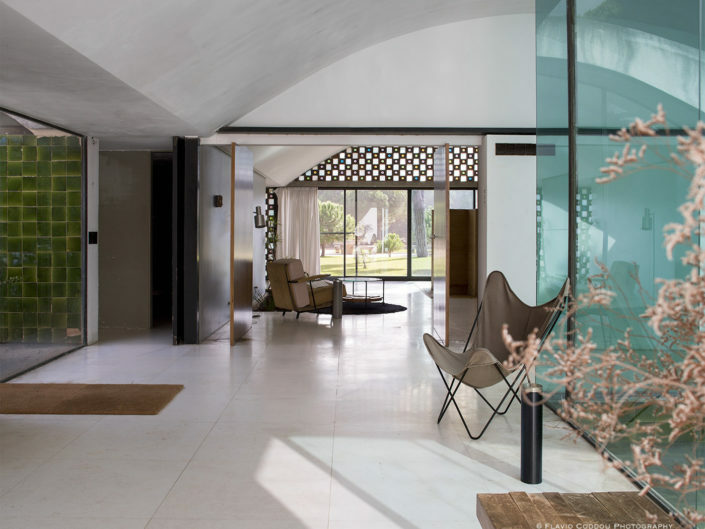 The construction of the third runway of El Prat airport has increased the level of noise reaching the house, requiring a range of acoustic insulation measures contradictory to the rules of respect necessary in a monument. 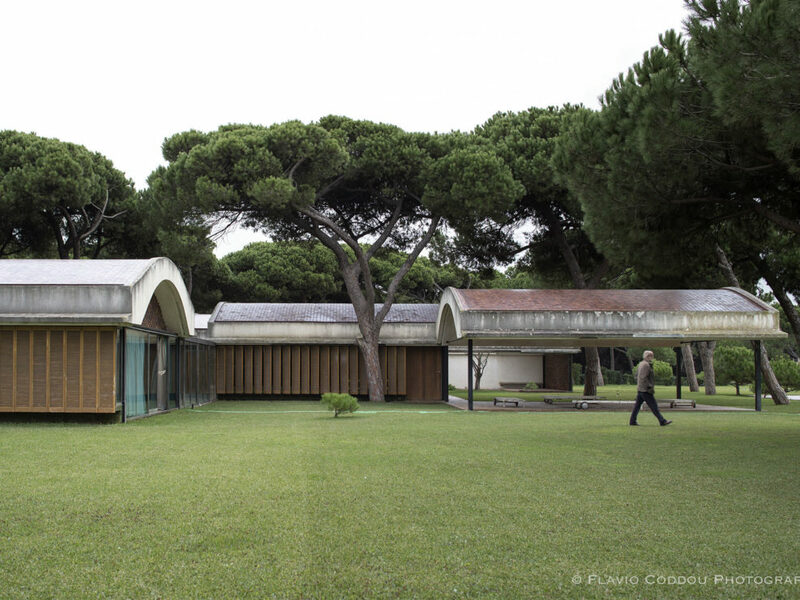 Statement by Architect Fernando Alvarez Prozorovich who is involved with the restoration of La Ricarda since 1996. 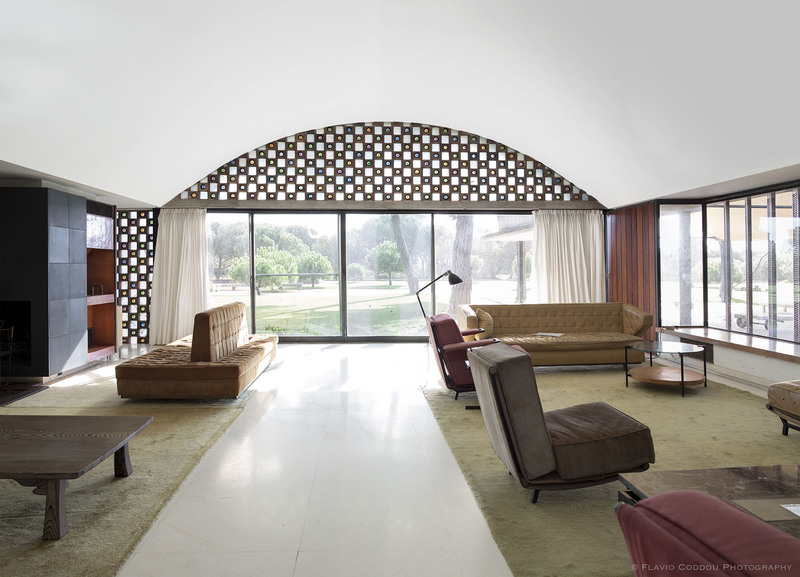 3rd Iconic Houses Conference at La Pedrera in Barcelona, 25 November 2014.